The NBA 2K series has always been one of my favorites. I was anxious to see how they would improve for this year’s version. 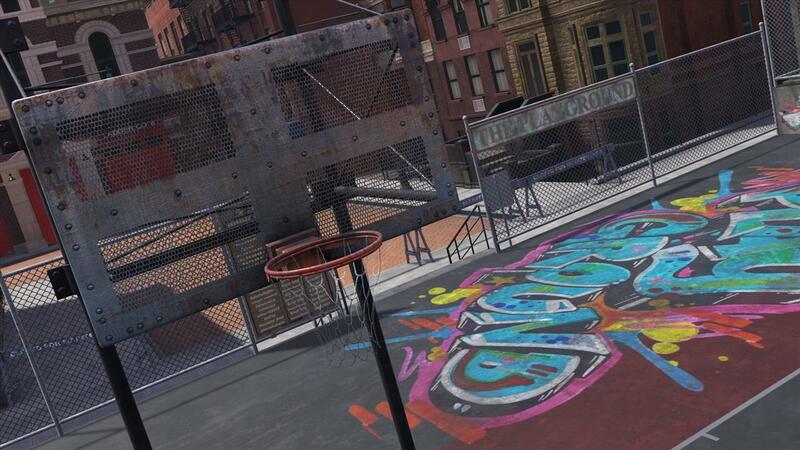 With a very exciting NBA season coming up, I was ready to dive into more games, as well as traverse the neighborhood with my created player. So, does NBA 2K18 earn a Larry O’Brien Trophy for basketball simulation this year? I’ll start off by saying as a Cleveland Cavaliers fan, seeing Kyrie Irving on the cover in a Boston Celtics uniform is a little bittersweet. He did hit one of the most important shots in franchise history in the 2016 NBA Finals, so I can’t be mad at him. I wish him the best, but I would’ve loved to have seen how he would be on this year’s Cavs team with Lebron, Wade, and Rose. Let’s start with the good stuff. It’s still a very solid basketball game at its core. The game flows extremely well and you’ll definitely want to play the game correctly, depending on who you are controlling. You wouldn’t want to keep driving to the hoop as Hassan Whiteside and you wouldn’t want to sit out and try to take mid- and long-range shots with DeAndre Jordan. More so this year, you’ll want to play intelligently as driving to the hoop over and over again will more than result in turnovers and no points. The shot meter has changed up a little bit with a vertical orientation. Unload at the top, and, if there’s no defender around you, the chances of going in are at their best. You’ll see indicators on if a shot was released at the right time as well as how contested it was so there are multiple factors in determining the percentage of your shot going in. It seems the contesting of shots, whether it’s small or heavy, has a larger bearing on scoring. Passing is also solid with the ability to send it to a specific player, lob it in the post, send an alley oop, and thread the needle just to name a few. You definitely can’t just sling the ball around without being cognizant of the defender’s positions on the court, but you can make it so the ball moves very fluidly around the horn and in and out of the paint when done well. Teams like San Antonio really excel with ball movement and it’s really great to see, with a talented team, how effective and beautiful passing can be. Did I mention the game looks gorgeous? Last year’s version looked really good and this year they did some improvements that really make the game shine. Playing both on PlayStation 4 and the PC, I was impressed with the models of the current players, the recreations of the various courts, and the natural movement of all of the players. You can really make out the unique signature moves and play styles of the players in the game. Yup, that’s what Steph Curry looks like when he goes for a jump shot. James Harden looks exactly like how he does in real life when he’s dribble driving. Lebron’s thunderous tomahawk dunks? That’s what he truly does look like in a real life. For the most part, the players look pretty close to their real selves, and if you’re on the PC, you can pump up the details to make the game blossom. Playing on an i7-6700K with a GeForce GTX 1080, I didn’t get into any framerate issues with everything maxed out. All my offline games ran silky smooth and were visually impressive to say the least. 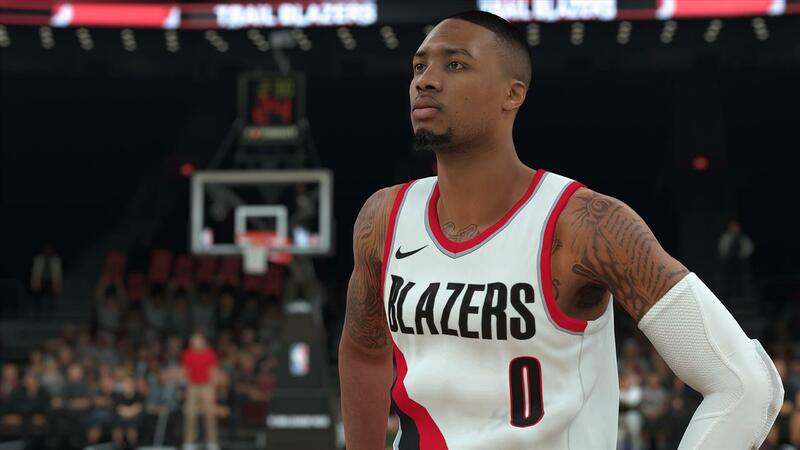 All the uniforms as well as their alternates and the basketball court designs are recreated accurately here in NBA 2K18. It was a leak of the Cleveland Cavaliers court in the game where I first glimpsed its new design, not from the organization or news story. The Nike Statement jerseys that will be used for one game during the season? 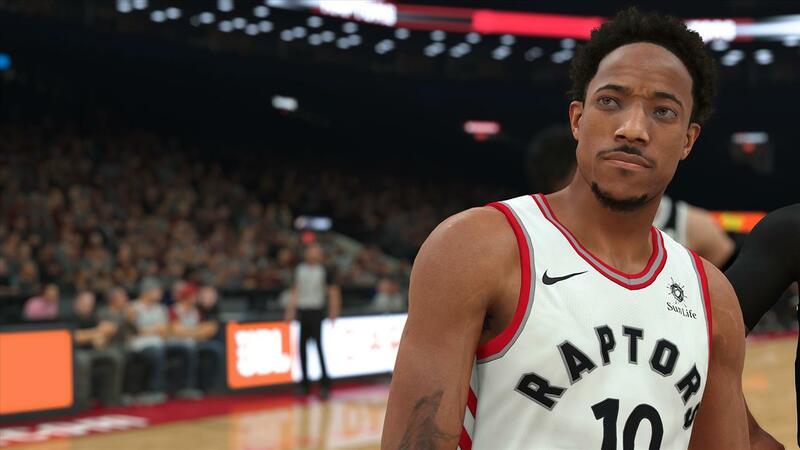 Yup, leaks of them from NBA 2K18 made their way around the Internet first. What you see on NBA 2K18 will be the same as what you see on TV. The commentating crew’s back again for this year’s version, but two new folks join the fray. Two NBA Legends, Kevin Garnett and Kobe Bryant will also provide some insight during the game from a player’s perspective. The trio of Shaquille O’Neal, Kenny Smith, and Ernie Johnson return for the pre-game show and I always enjoyed their antics. It’s too bad Charles Barkley won’t join in the fun, but the other three provide some nice light hearted moments in the game. 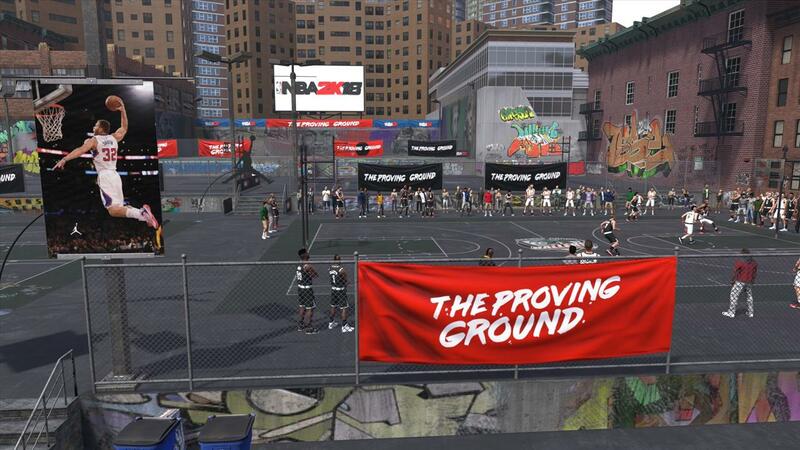 So as a pure basketball game, NBA 2K18 excels in a lot of areas. The most important, gameplay, is solid front to back, as long as you don’t play online. I have very little complaints in that area and while it’s not a huge step up from last year’s version, there are enough improvements here to make the gameplay better than last year’s. 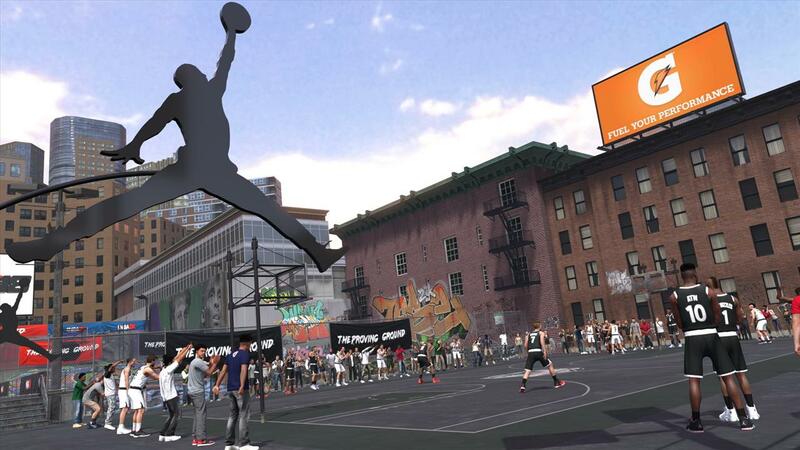 Now, the problems I had with NBA 2K18 stems from the Neighborhood and need for everything to cost some amount of virtual currency. Virtual Currency, or VC, is used for everything. You want to improve your player? You’ll need VC. You want new gear? VC. New court designs or moves? VC again. VC. VC. VC. It’s unfortunate that 2K Games went this heavy on VC. I don’t mind having some things locked behind some grinding, but the amount of things needed for VC is pretty ridiculous. The cost of some items seemed pretty high before, but a recent patch has lowered a few of those prices significantly. Only time will tell if it’s enough or if 2K Games needs to keep tweaking those VC prices, but it’s a really annoying aspect of the game. And then there’s The Neighborhood, this year’s big addition. 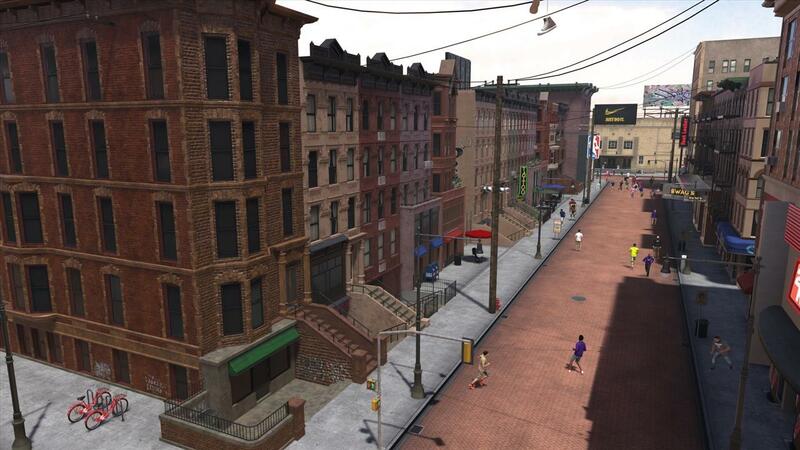 You walk around a virtual neighborhood where other players online congregate, participating in events such as pickup games, trivia, and pop-a-shot, and of course, spend virtual currency at various shops. It sort of reminded me of PlayStation’s defunct Home, where you could interact with other players online in a virtual landscape. Be prepared for a ton of advertisements as a lot of the shops and merchandise are from brand names. It looks a little weird to see all these brand names larger than life as you walk around though. There are a bunch of activities to pass the time and improve the look and performance of your player, but it takes a good deal of time to just walk around and find what you want. It can also be considered as a substitution for menus because you walk to various area in the Neighborhood to start an event, which could have easily been done with a menu system. It might not look as slick, but it sure would've been a lot faster than walking from one location to the next. Of course, an NBA 2K game wouldn’t be complete without a cast of annoying characters. I’ve talked about the previous games’ single-player experiences and how some of the acting and dialogue were just over the top. The same happens in NBA 2K18’s MyCareer feature as you work your way from the streets to the NBA. Your agent and best friend, as well as others you meet, contain a lot of overacting, but I’ve resigned to the fact that this is how it is with the MyCareer feature in NBA 2K. How you reach the NBA is also pretty unrealistic, but I do like the fact you can now just choose the team you want to play for. In the past, you’d have to do various tryouts and games and hope to be chosen by the team you like. Here, just choose your favorite team and you’ll be placed on a one-year contract to start your NBA career. For those that did like the unknown factor of where to go, perhaps next time 2K Games can give an option of randomizing the team as well as one where you select the team you want to go to. 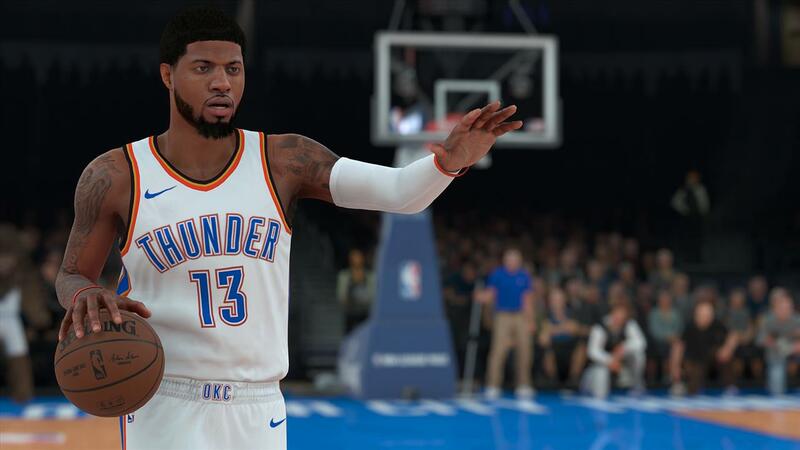 For NBA 2K18, I’m pretty happy with their decision to just go with the team you like. Load times are still pretty bad on the console side of things. It wasn’t uncommon to sit there for a minute, waiting on something to load before you can continue. On my PC with an SSD installed, the load times were a lot more bearable. Some areas still took a little bit, but not nearly as long, as the PlayStation 4. I definitely found myself waiting less when playing on the computer. One aspect of MyCareer that is really annoying is that you can't skip any of the cutscenes. That means if you've played before and want to skip all the talking and get into the action, you'll have to sit through them all over again. Some are short, but there are a few that are a few minutes long. C'mon 2K, let's see about giving us the ability to skip it if we want to in a patch because there's only so much overacting I can take. Online play can be a hit or miss, depending on various factors. I have a pretty solid internet connection with speeds of 500Mbps down and 50Mbps up and still found a few laggy games here and there. It happened on both the PC and the PlayStation 4, but I can’t say it’s all NBA 2K18 because you just can’t tell how good or bad your opponent’s connections are and if you have 10 different players playing from all over the world, you’re most likely going to have someone that’s not connected at a good speed. Of course, there are a ton of other modes to play such as coaching, card collecting, team creation and so on. If there’s one thing that NBA 2K18 doesn’t lack it’s the ability to play a different style of game. 2K has provided some nice tools for those who love analytics to gauge how your team or player is doing. Variety is something that I really enjoy about the series and it should give NBA 2K18 a lot of replayability. The big question is, should you buy this if you own last year’s version. For now, I can’t recommend it as the improvements aren’t that big over the previous version and the emphasis on Virtual Currency really brings the entire package down. For those that have skipped a year or two and love basketball games, yes. It’s still the best on-the-court action to date. Pick it up and enjoy some great basketball. It’s just too bad for those of us who have picked up the series year in and year out. The emphasis on Virtual Currency and the grind to get enough to improve your player’s looks and abilities bring down an otherwise good entry in the series.